A debt-to-income ratio is the percentage of monthly debt payments compared to the amount of gross income that a person earns each month. Your gross monthly income is typically the amount of money you earn before taxes and other deductions are taken out. If a person’s monthly gross income is $2,000 a month and they have a monthly debt payments of $1000 each month, that person would have a DTI of 50 percent. The lower the DTI the better. 43 percent is in most cases the highest DTI that potential borrowers can have and still get approved for a mortgage. What Debt Do Lenders Look At? The good news for borrowers is that lenders will disregard some debt when calculating a borrower’s DTI. For example, utilities, cable, phone and health insurance premium would not be considered as part of your DTI. What lenders will look at are any installment loan obligations such as auto loans or student loans as well as any revolving debt payments such as credit cards or a home equity line of credit. In some cases, a lender will disregard an installment loan debt if the loan is projected to be paid off in the next 10-12 months. Almost any source of income that can be verified will be counted as income on a mortgage application. Wage income is considered as part of a borrower’s monthly qualifying income. 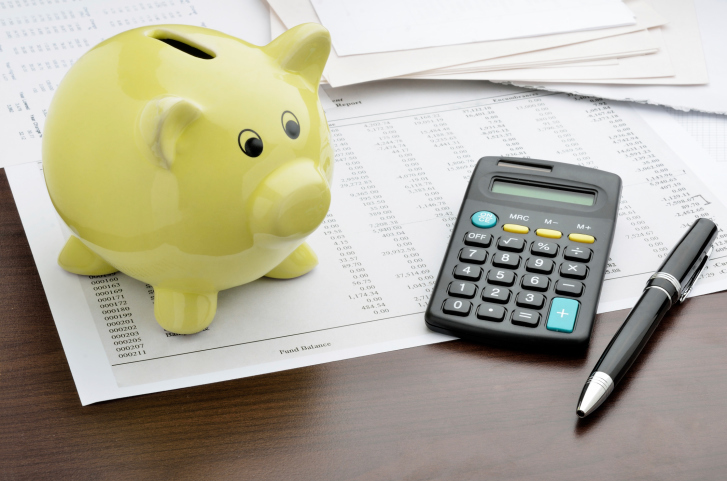 Self-employed individuals can use their net profit as income when applying for a mortgage, however, many lenders will average income in the current year with income from previous years. In addition, those who receive alimony, investment income or money from a pension or social security should make sure and include those figures in their monthly income as well when applying for a loan. A borrower’s DTI ratio can be the biggest factor when a lender decides whether to approve a mortgage application. Those who wish to increase their odds of loan approval may decide to lower their DTI by either increasing their income or lowering their debt. This may make it easier for the lender and the underwriter to justify making a loan to the borrower. 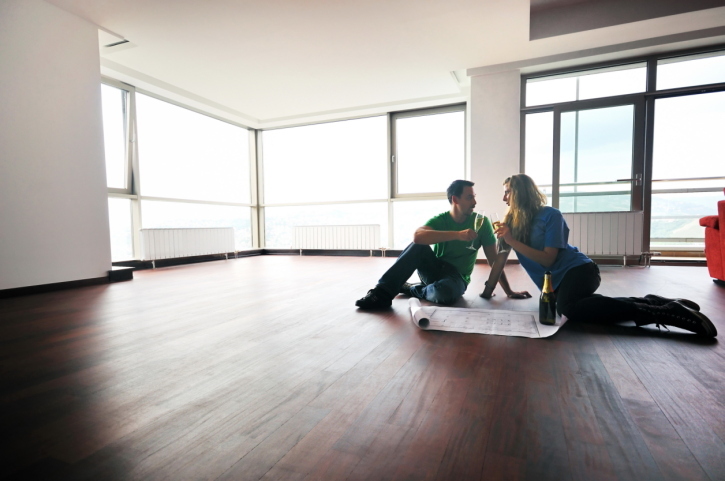 Are you thinking about buying a new house or condo? If so, you’ve likely given some thought to your mortgage and as to how you can pay as little as possible in order to own your new home. Below we’ll share four easy steps that you can take to ensure you start out with an affordable monthly mortgage payment. The easiest way to reduce your monthly payment is to invest as much as possible in your down payment. The less you have to borrow, the less you’ll be required to pay back. If you can put a sizeable amount down on your home you’ll find that your monthly payments are going to be very manageable. You’ll also save a lot of money in interest. When a lender assesses your financial history they’ll take an in-depth look at your credit score in order to determine how much risk you present to them. If you’ve kept a clean credit rating and have a high score, it’s likely that you will qualify for a lower interest rate than someone with a lower credit score – even if you both have the same monthly income. When you’ve made your short list of homes and you’re scheduling your viewings, ask yourself – do you need a home this big, or this expensive? If you can do with a smaller, more efficient home you can reduce the amount of mortgage financing that you require and this will in turn reduce the amount that you need to pay each month. Finally, if you need to reduce your monthly payment at any cost you can stretch out your mortgage repayment period by a few years. Note that while this can reduce your payment amount it will actually increase the total amount that you end up paying back as you’ll pay more in interest. While the above are general tips for reducing your mortgage payment, it’s likely that there are other strategies that are unique to your financial situation. Contact your local mortgage professional at your convenience and they’ll be able to share insights that are relevant to your income, your credit and the price range you’re looking to buy into. Buying a home is a major financial transaction, especially if you’re going to need mortgage financing to help cover the purchase cost. The only way to know if you’re getting the best deal on a mortgage is to shop around, but with so many different lenders vying for your business it can be very tough to choose which mortgage is the best fit for your own situation. In this post we’ll share how you can compare mortgages from different lenders or underwriters so that you can get the best possible deal on your mortgage loan. The most important factor in your mortgage is the interest rate that you’ll be required to pay so this should be your starting point. While most lenders will keep their rates competitive with one another, you may find that there are discounts available based on your credit or financial history. You might also find that some lenders are willing to adjust the rate based on how long of a mortgage term you’ll need, and how much you’re investing in your down payment. While the number that you’re likely focused on is the total monthly payment that you’ll be making for the next few years, you’ll also want to find out how much in fees and closing costs you will have to pay in order to take out the mortgage. Every lender charges different fees and the amounts can vary wildly, so be sure to get an estimate on these costs to find out how they’ll affect your home purchase. Finally, you’ll want to keep an eye out for early repayment penalties as these can cause you a headache later on if you decide you want to pay your mortgage off a bit faster. The ideal mortgage is one that allows you to repay the principal amount at any time without facing a penalty, but depending on the other terms that you require you might need to shop around a bit before you find a mortgage like this. Whether you’re buying a home for the first time or you’ve decided it’s about time that you upgraded to a larger, more expansive house, if you’re making a real estate purchase you’ll need to be aware of how much you can reasonably afford to borrow in a mortgage. In today’s post we’ll take a look at a few ways that you can analyze your financial situation to help decide how much mortgage you can truly afford. The first step in understanding how much of a monthly payment you can afford is to create an honest monthly budget which includes all of your family’s income and spending. Although you won’t have to pay them every month, it’s also important that you include costs that show up irregularly like car repairs, Christmas gifts or tuition bills as these still need to be paid. The more information you can place in your budget, the more accurate your financial picture will be. As you might imagine, the amount you can invest in your down payment plays a significant role in how much mortgage financing you will need. Every dollar that you can place in your down payment today is one less dollar that you’ll need to borrow and pay interest on over the amortization period of your mortgage. Take some time to consider how much you can put down, and see if there’s any way you can bump this figure a bit higher. What Interest Rate Will You End Up Paying? Small changes to your mortgage interest rate can have significant impacts on how much you are required to pay back over the life of your mortgage. As you’re shopping around, be sure to consider how long your interest rates are valid for and try to determine the lowest rate you might qualify for. You may also find it helpful to use an online mortgage calculator which can help you to understand how your interest rate impacts your monthly payments. Most people don’t know whether or not a single missed mortgage payment can have serious consequences for their credit score. The good news is that there are things that can be done to mitigate the damage and help anyone who has missed a payment repair their credit. 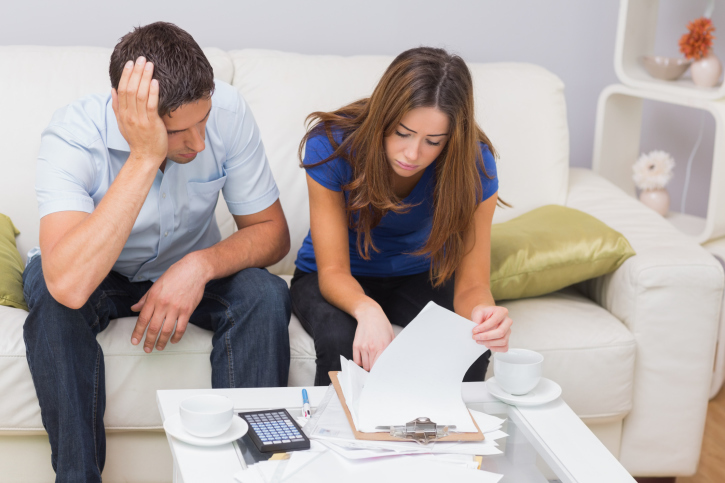 What are some options to help homeowners get back in the good graces of their creditors? The best thing to do is to admit that the payment was missed and immediately make amends for it. For the most part, mortgage lenders are sympathetic to the fact that people miss payments for reasons that may be beyond their control. By calling the lender as soon as it appears that a payment may be late or not forthcoming at all, it is easier to make arrangements to roll that payment back into the mortgage or take other steps to decrease the odds of a negative remark being made on a credit report. While a single missed payment can hurt a credit score, it is important to not compound the mistake by missing more payments. In some cases, someone may decide to make up for the late payment before making any further payments. However, that only makes the mistake worse because a borrower will be considered late on all subsequent payments. It is better to make the most current payment on time and make the late payment the secondary priority. 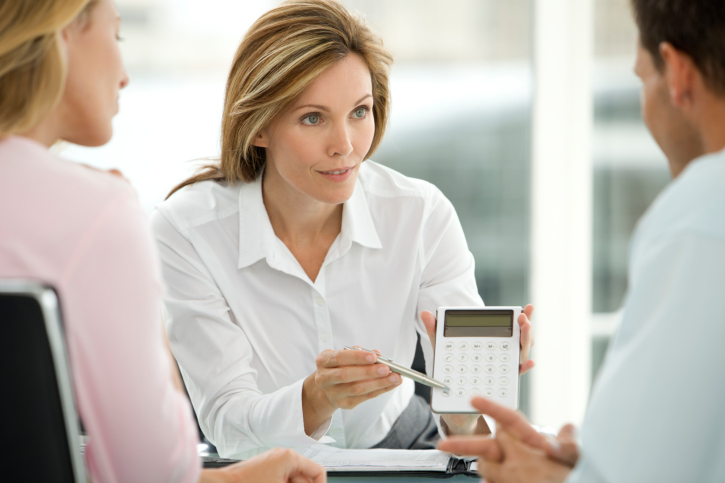 It is important to not let emotion get in the way of negotiating a modification to a mortgage. When a borrower hires a credit counselor or a bankruptcy attorney to talk his or her creditors, the negotiations can stay professional and on topic. In most cases, a lender will be willing to make modifications for those who need them because it is better to get the money from the borrower willingly instead of having to go through a foreclosure proceeding. While a missed mortgage payment can be bad news for a credit score, it is possible to make amends for the missed payment while minimizing long-term damage to a borrower’s credit score. By owning the mistake, staying current on all future payments and working with a third-party, it may be possible for a lender to forget that the missed payment ever happened. Are you shopping for a home or a new mortgage? If you are interested in finding the best possible financial product, it is important to consider the benefits of selecting a Qualified Mortgage. With so many different types of loan products to choose from and financial terms to learn, schooling yourself on the mortgage market before you buy your first home or apply for your first refinance mortgage may seem like a daunting task. Luckily, there are resources that are designed to help you learn the basics of products and terms so that all consumers have the power to inform themselves before securing a loan. There are many different categories of home loans that individual loan products can fall into and one of these categories is simply referred to as a Qualified Mortgage. Qualified Mortgages, also referred to as the QM in the industry, is a product that has been approved as a qualified product because it has stable features that benefit you as a borrower. All lenders who are interested in offering a Qualified Mortgage must make a good-faith effort to assess your income and your debt-to-income ratio to ensure that you are able to repay the loan before you take the loan out. All lenders must meet a long list of certain requirements that are free of harmful features that could affect a borrower’s ability to pay. – Negative Amortization: This feature affects consumers by allowing principal to increase over time. – Interest-only Periods: Where payments are only applied to interest on the money borrowed. – Balloon payment requirement: A requirement where borrowers must pay a large payment at the end of the loan term. – Long Terms: Loans cannot have terms longer than 30 years. – A Large Debt-to-Income Ratio: There is a limit in how much income that can go to monthly debt payments. This limit is 43% for a QM. How Can a QM Benefit a New Home Buyer? As you can see, there are safeguards built into a Qualified Mortgage that are designed to protect you from entering into a long-term binding loan contract that puts you in an unfair position. There are also legal protections that are designed to protect lenders who are committed to designing qualified mortgage products. You can sign a loan that you can afford to repay, have payments applied to your principal as well as interest, and become a homeowner without unnecessary stress.